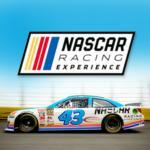 Get behind the wheel and drive a NASCAR race car at Charlotte Motor Speedway by yourself! If you don't want to drive, go for a NASCAR Ride Along. NASCAR Racing Experience is “as real as it gets”. There’s no lead car to follow and no instructor rides with you when you drive. Book your NASCAR Racing Experience today! Prices start at just $99. At Charlotte Motor Speedway the action does not stop at being just a spectator at a race. You can drive a NASCAR race car by yourself! If you are looking to grab the wheel and drive a NASCAR race car or take a NASCAR ride along then the Richard Petty Driving Experience will give you an unforgettable NASCAR experience. Prices start at just $99. Book Richard Petty Driving Experience today! 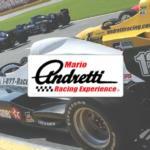 You can drive an open wheel, full size, Indy-style race car at Mario Andretti Racing Experience. Drive an open wheel race car by yourself or take a ride along in the back seat of a 2-seat, Indy-style race car. Feel the speed as you drive an Indy-style race car at Mario Andretti Racing Experience, “World’s Fastest Driving Experience”. Book this once in a lifetime experience today. Prices start at just $99. 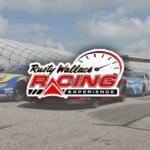 Take a ride on the wild side with Rusty Wallace Racing Experience! Make some hot laps in a genuine NASCAR stock car, with adrenaline-pumping experiences ranging from three laps all the way to a 50-lap “Race Day” package! It’s the perfect way to spend a day at the track! 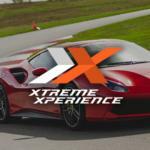 Founded by a group of car enthusiasts with the goal of making the world's finest exotic cars accessible, Xtreme Xperience travels across the U.S. offering thrill seekers the opportunity to drive our fleet of exotic cars including the all-new Ferrari 488 GTB, Lamborghini Huracan, the incredible Porsche 911 GT3 and more on world-class racetracks. Xtreme Xperience provides the safest and most educational approach to drivers and passengers who wish to experience the thrill of the world’s most exclusive cars.